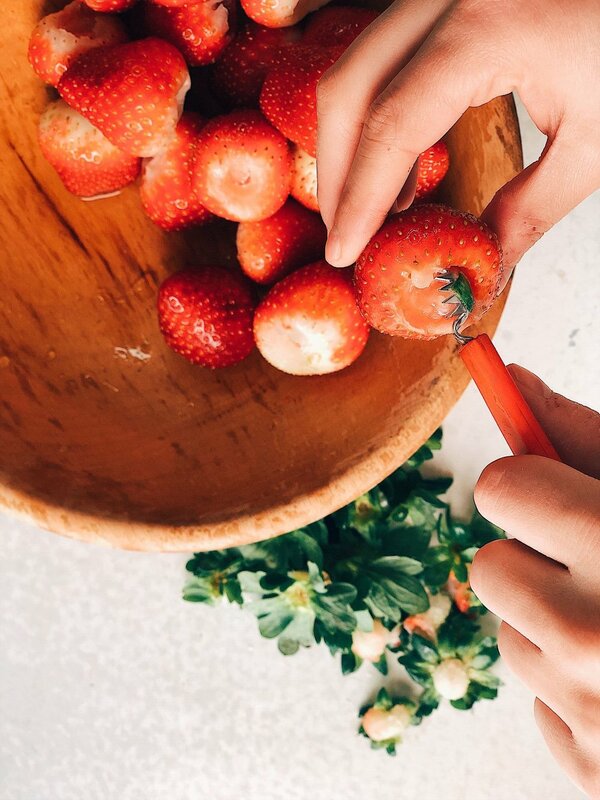 Now that strawberry season in Florida is alive and well, we’ve got a feeling you’re going to end up with some extra berries over the next couple months. These sweet gems are the perfect addition to so many dishes, but we all know too well how quickly they can go bad. 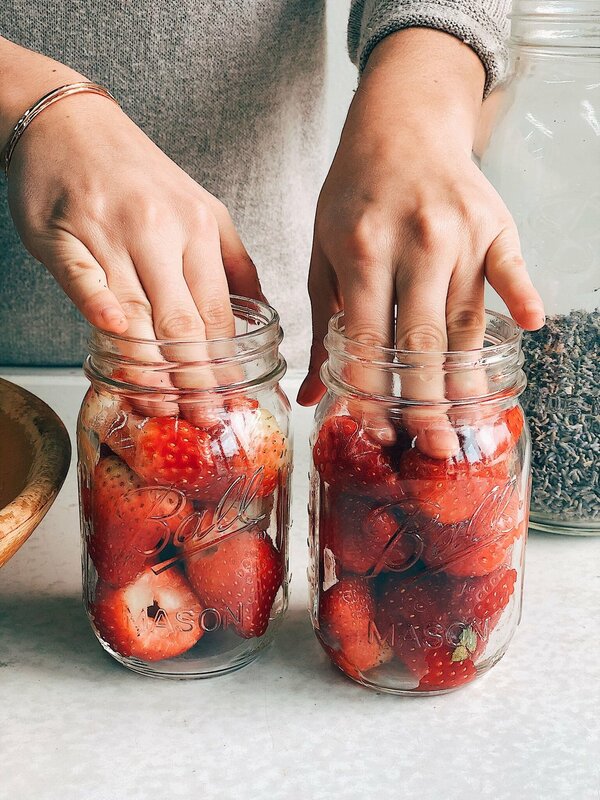 So next time you have a pound of strawberries that are about to go bad, gather them up and make a strawberry lavender compote! We were inspired from a recipe in the book our friend Stephanie Thurow wrote: WECK Small-Batch Preserving. If you’re looking for a bunch of delicious and easy canning, and fermenting recipes, this book is a go-to! We adapted her Strawberry Compote to add a little vanilla and lavender kick. Feel free to try your own flavors and spices! We also show you how to make it two ways: traditionally canned, and refrigerator style. Both are simple, easy, and slurp up yummy. Read below for the recipe. This canning recipe is for 1 pint jar and can be multiplied. The fridge compote version of this recipe is for 2 pint sized jars and can be multiplied. Mix all Add water, sugar, lemon juice, lavender and vanilla to small stock pot or large sauce pan and bring to a boil. Add whole, hulled strawberries and cook together for 2-5 minutes stirring frequently. Then remove from heat. Place the canning funnel on your jar and ladle in brine leaving a 1/2 inch headspace. (1/2 inch headspace is the last line of the thread at the neck of the jar). Fill all jars this way. Add water, sugar, lemon juice, lavender and vanilla to a pot and bring to a boil. Allow sugar to fully dissolve stirring frequently then remove from heat and allow to sit. 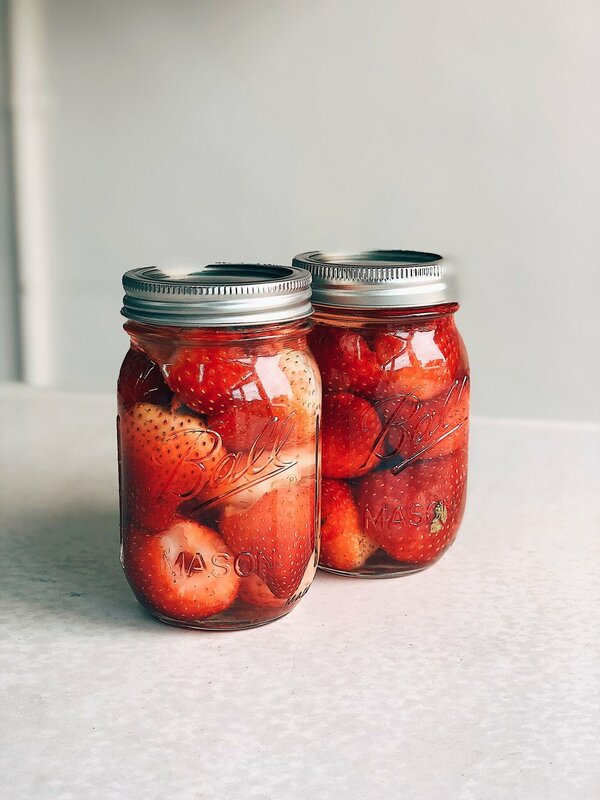 Add hulled strawberries to jars. *for the fridge pickle version of this recipe 1 lb of hulled strawberries makes 2 pint size jars. Place the canning funnel on your first jar and ladle in syrup leaving a 1/2 inch headspace.